b) And because its attempt to impose total abstinence by national governmental flat ignores the truth that no law will be respected or can be enforced unless supported by the moral sense and the common consciousness of the communities affected by it. 2. We are convinced that de facto prohibition, wrong in principle, has been equally disastrous in consequences in the hypocrisy, the corruption, the tragic loss of life and the appalling increase of crime which have attended the abortive attempt to enforce it; in the checking of the steady growth of temperance which had preceded it; in the shocking effect it has had upon the youth of the nation; in the impairment of constitutional guarantees of individual rights; in the weakening of the sense of solidarity between the citizen and the government which is the only sure basis of a country’s strength. That this de facto prohibition of the Cannabis sativa L. species of plants has demonstrated its adoption to be a grievous mistake, persistence in which will constitute a continuing threat to our country’s well being. That in the removal from the Federal laws of provisions, which should never have been put into it, lies the only reasonable hope of relief from conditions, which have become intolerable. That in our judgment the return to each state of its former power to allow the growth, sale and transportation of the Cannabis sativa L. species, within its own limits should be accompanied by adequate state regulatory enactment’s and responsive to the sentiments of the people and therefore capable of enforcement. That such enactment’s would drive the crime breeding trafficking of the present day to the same extinction that has already met other prohibitive legislation. That the Federal government, exercising its power to regulate interstate and foreign commerce should protect each state in the enforcement of its state laws according to its true function. That the people of the United States who have never had the opportunity to pass judgment upon this question should be given such an opportunity and that therefore, that this may be accomplished in an orderly way and in accord with legal procedure, we urge the Congress to submit to conventions of the people in the several states rather than to the legislatures thereof, a resolution for the repeal of this de facto prohibition. MASS CANN: The Massachusetts Cannabis Reform Coalition (MASS CANN), the state affiliate of the National Organization for the Reform of the Marijuana Laws (NORML), is working to build a consensus for a more moral and rational public policy regarding all uses of the cannabis plant. NORML: The National Organization for the Reform of Marijuana Laws. A Drug War Carol: Online Comics. Students for Sensible Drug Policy (SSDP) is the fastest growing student organization in the United States - and for good reason. We represent the D.A.R.E. Generation: the students and youth who grew up during a massive expansion of the War on Drugs. For years, our names have been used to fuel this costly, un-winnable war. As silence gets us nowhere, we proudly and emphatically declare "No more!". Green Aid: The Medical Marijuana Legal Defense and Education Fund, Inc.
is a California charitable corporation with 501(c)(3) non-profit tax status, per the IRS. All contributions to Green Aid are tax deductible to the full extent allowable by law. Reconsider: ReconsiDer is a grassroots not-for-profit membership organization that was incorporated in New York State by concerned citizens to provide a forum for discussing alternatives to one of America’s greatest public policy failures—the war on drugs. Our tax-exempt mission is to educate the public about drugs and drug policies, including the problems caused by using criminal sanctions to regulate the distribution of drugs and alternatives to the use of criminal sanctions as regulatory policy instruments that are being employed by other democratic nations around the globe. The November Coalition: The November Coalition is a non-profit organization of grassroots volunteers educating the public about the destructive increase in prison population in the United States due to our current drug laws. We alert our fellow citizens, particularly those who are complacent or naive, about the present and impending dangers of an overly powerful federal authority acting far beyond its constitutional constraints. The drug war is an assault and steady erosion of our civil rights and freedoms by federal and state governments. Check our website for Upcoming Events. MPP: The Marijuana Policy Project works to minimize the harm associated with marijuana -- both the consumption of marijuana, and the laws that are intended to prohibit such use. MPP believes that the greatest harm associated with marijuana is prison. To this end, MPP focuses on removing criminal penalties for marijuana use, with a particular emphasis on making marijuana medically available to seriously ill people who have the approval of their doctors. Patients Out of Time: A compassionate, science-based educational forum for the restoration of medical cannabis knowledge. Hemp Industries Association: The purpose of the HIA is to represent the interests of the Hemp Industry and to encourage the research and development of new hemp products. The HIA and HIA Members: Educate the public about the exceptional attributes of hemp products. Facilitate the exchange of information and technology between hemp agriculturists, processors, manufacturers, distributors and retailers. Maintain and defend the integrity of hemp products. Advocate and support socially responsible and environmentally sound business practices. Americans for Safe Access: ASA is an aggressive grassroots campaign working to push the Bush administration off its anti-medical marijuana crusade and allow states the right to choose and govern medical marijuana laws. We serve as a catalyst for committed grassroots activists to work effectively with drug policy reform groups and supportive local officials, and to unify medical marijuana advocates, patients, and caregivers around a focused national strategy. We aim to draw national attention to our struggle and build a nationwide network of local activists committed to pushing back destructive DEA policies through action. ASA’s stand on federal interference with medical marijuana state laws is one of zero-tolerance. ASA uses a variety of tactics including citizen lobbying, community outreach, phone-in days, petition drives, public protest, media events and nonviolent direct action in order to raise awareness and demand political change. Vote Hemp: VOTE HEMP is a non-profit organization dedicated to the acceptance of and free market for Industrial Hemp. Industrial Hemp is non-psychoactive low THC varieties of the cannabis sativa plant. Currently, it is illegal for U.S. farmers to grow Industrial Hemp because it is improperly classified as a "drug" under the Controlled Substances Act. Since changes in law require shifts in thinking and this requires education in the facts, our primary goal is the education of legislators and regulators, farmers and businesses, students and other concerned citizens. Families Against Mandatory Minimums: FAMM is a national nonprofit organization founded in 1991 to challenge inflexible and excessive penalties required by mandatory sentencing laws. FAMM promotes sentencing policies that give judges the discretion to distinguish between defendants and sentence them according to their role in the offense, seriousness of the offense and potential for rehabilitation. FAMM's 25,000 members include prisoners and their families, attorneys, judges, criminal justice experts and concerned citizens. FAMM does not argue that crime should go unpunished - but the punishment must fit the crime. Drug Policy Alliance: The Alliance is the nation's leading organization working to end the war on drugs. We envision new drug policies based on science, compassion, health and human rights and a just society in which the fears, prejudices and punitive prohibitions of today are no more. Women's Organization for National Prohibition Reform: We are convinced that National Prohibition, wrong in principle, has been equally disastrous in consequences, in the hypocrisy, the corruption, the tragic loss of life and the appalling increase of crime which have attended the abortive attempt to enforce it, in the shocking effect it has had upon the youth of the nation, in the impairment of constitutional guarantees of individual rights, in the weakening of the sense of solidarity between the citizen and the government which is the sole sure basis of a county's strength. (Excerpt from WONPR Convention, April 23-24, 1930). Real Cost of Prisons Project: An Activity of The Sentencing Project, a Washington, DC based non-profit organization dedicated to reducing over-reliance on incarceration. The Real Cost of Prisons Project is supported by a grant from the Community Advocacy Project of the Open Society Institute. 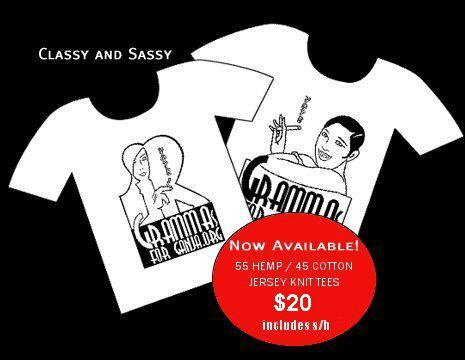 Gramma's for Ganja is a non profit 501 (c) (7). Donations are not tax deductible.